These ice-skating shelters were designed for a frozen river that runs through the city of Winnipeg, Canada. Winter there can last for up to six months, with temperatures dropping as low as minus 40°C. This makes it the coldest city of its size outside Siberia. Winnipeg sits at the junction of two rivers, the Red and the Assiniboine. 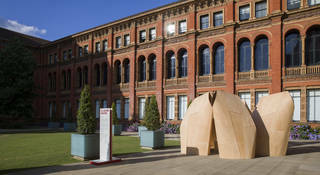 The skating shelters were the 2011 winners of an annual competition in which architects are invited to design a warming hut that will sit at the junction of the rivers. These huts allow residents to keep using the skating trails along the rivers during Winnipeg's long winter months. Each shelter can accommodate three or four people, and they are intended to be grouped in a small 'village' or 'herd'. 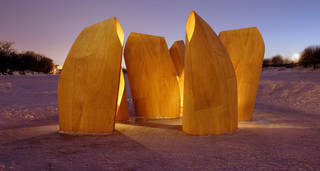 Their shape suggests a group of stout, monolithic creatures protecting themselves from the elements, while relationships between the shelters shift according to the movement of the sun, the time of day and the weather. 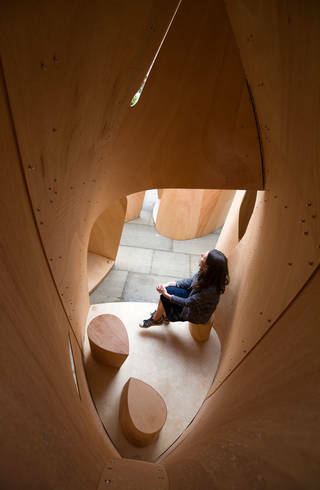 Each one is built of flexible plywood, specially constructed with a thin central layer that allows it to bend along one axis around a minimal timber frame. In the wind their plywood skin comes alive, moving and shuddering in the breeze. The architects wanted the shelters to be as lightweight as possible, intending to create a voluminous structure using a minimal amount of material. They chose plywood because of its reliability, strength, light weight and the ease with which it can be worked. The process of designing the shelters began with a series of small models, made first with paper and card, then with sheets of veneer. 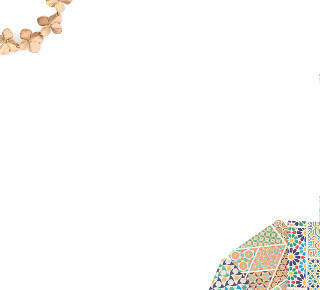 Each of these materials posed different challenges in the degree that it could easily be curved. 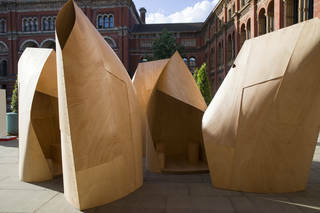 In the final plywood design each shelter was made from a series of overlapping panels, each panel cut on a CNC (Computer Numerical Control) machine to a different pattern. The panels are joined with rivets. The shelters are extremely light and were anchored to the river by long screws that attached their timber bases into the ice. The shelters have won numerous awards including the International Design Awards - Gold Award 2012, the American Society of Landscape Architects Honor Award 2012 and the North American Wood Design Honor Award, 2011.